Nohttzver. 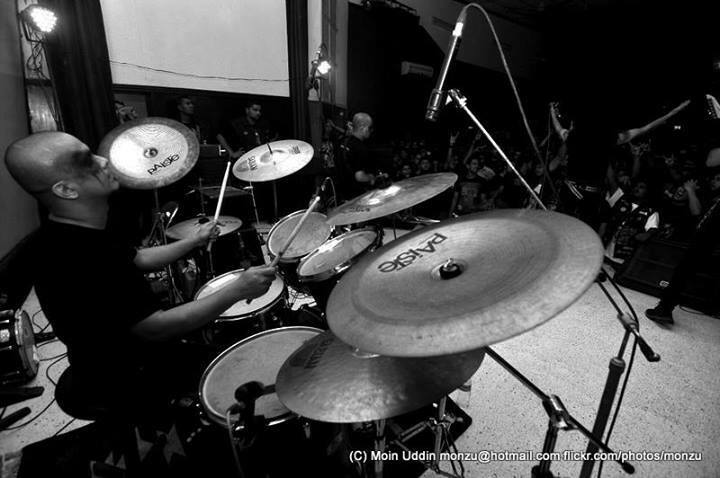 A legendary name in the underground metal scene of Bangladesh. 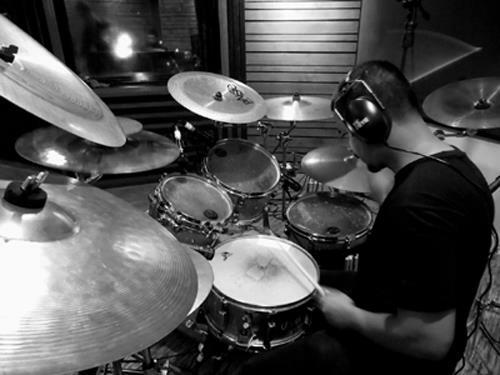 Specially known for his extreme metal drumming and pioneering act in the extreme metal scene of the country. Having a legendary drumming career of almost 25 years, playing in numerous successful projects like Phantom Lord, Weapon etc., Nohttzver is still continuing his demonic blasts and supremacy with his current project Nafarmaan. Asmodeus: Hails Nohttzver! How are you doing brother? Nohttzver: Hails right back at you brother! Apart from a few minor ups and downs in my current corporate career, things are going positive and productive with me. So I’ve been doing good. Asmodeus: A legendary drumming career of almost 25 years, playing in numerous successful projects; how does it feel when you look back? Nohttzver: Mixed feelings really, It has been a long one.1989 to be exact.Back then It was possibly the best feeling for a ten year old to get to play the drums, funny I still feel the same. I must admit that If I hadn’t gotten to watch Legendary drummer MahbubBhai from Mighty ‘Rock Strata’ I don’t think I would’ve ever picked up a pair of drumsticks. I owe much to my elder brother as well who was himself a musician and who believed that I could be one. The best part about this career is I’ve gotten to work and simultaneously share my music with numerous talented musicians. Covered more or less every possible genres known, as a result my learning process never ended and I guess it never will. I am personally grateful to every musician I have had the pleasure to work with and I have nothing but respect for each of them. Asmodeus: You played in Ark; one of the most successful bands in the music industry of Bangladesh. How was it for you? Nohttzver: Yes I did play in Ark from 1993 to 1996. (Laughs) How was it for me? Well for a fourteen year old getting a taste of the mainstream can be seriously fucked up. The money, fame and the benefits that followed that had had a devastating effect on me personally. The only best part then was getting to play bigass shows in the bigass venues and get to work with some of the most astounding musicians from the country. Asmodeus: Tell me about Weapon, one of my all time favorite bands; the first Black Metal project from Bangladesh formed by you and Monarch. Nohttzver: Me and Mash (Vetis Monarch) have been real old friends, grew up together and even went to school together. I guess we both had a knack for the extreme, may it be in life or music.This had a huge impact on us always. I personally think musically it all started taking shape when we were carving great band names and imaginary/dream lineups on our school desks. Mash left for Canada to attain his higher studies and started and tried to work on the initial lineup there with a friend called Chad [Ex-Sufferance, Weapon (Live)] ,on guitars.The results were unfruitful then. Growing up together; I guesswe had an intention of forming a band together that wouldn’t be like any other band (If it ever was to happen) .When Mash got back on 2004 the craving for creating extreme metal for us had only gotten more addictive literally. We started jamming rigorously and started writing songs. Mash wrote all the lyrics and riffs while I mainly concentrated on the compositions and the band logo. 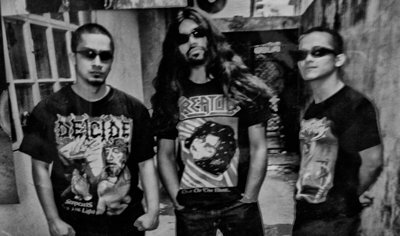 One thing led to the next and Mash came up with this crazy idea of making a demo.Thus the first ever two man then Bangladeshi Black/Death metal band Weapon was formed and we went on to record and release‘ Within the Flesh of the Satanist’ Demo on September 2004. Amit[Kapalyq, Skull bearer (Orator, Barzak)] joined us a year later in 2005 and the new three men lineup went on to unleash the first EP titled ‘Violated Hejab’. It was also the same year he moved back to Canada and persued with Weapon from there.The rest was as you all know is History.I am honored to have been a part of the Legacy and my respect to Vetis Monarch for taking Weapon to where it is now. Asmodeus: Looking back to the underground scene that time, forming a Black Metal band must be super advanced move I must say! So how did you get into it? Nohttzver: We never actually thought of it like that or had ever given it any thought of how advanced in time we were then. I suppose it was our sheer passion for vile music and hatred for the false that led us to create the abomination. There was nothing called an underground scene in Bangladesh then or however so you want to define it as. The only two things happening back then were Bloodlust and Barzak if you ask me, however I must admit that our predecessors namely Rock Strata, Waves, Rock Brigade, Aces, Sweet Venom etc were the true driving forces and influences behind the true underground then.Phantom Lords,Metal Warriors and Jolly Rodgers had much to do with it as well. Asmodeus: Tell me about your latest project; Nafarmaan. 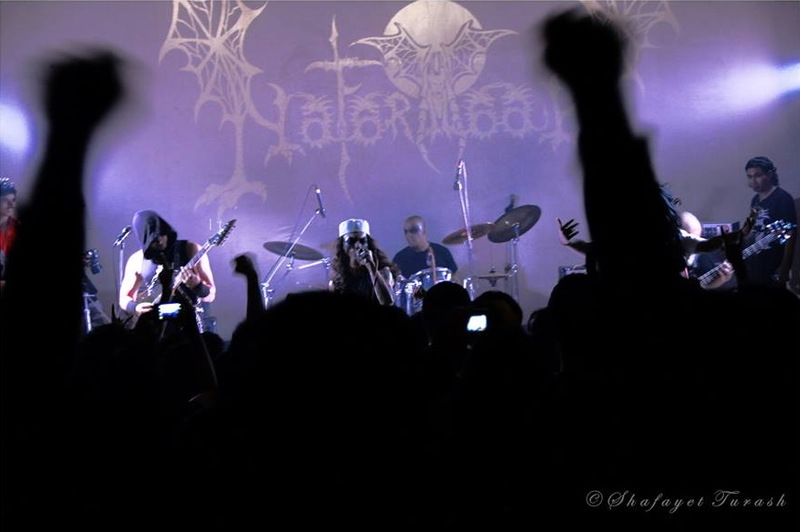 Nohttzver: It’s a Black/Death metal band. It was founded by me on 2008 after long time friend Agnee Azaab approached me for a new lineup. I never really thought of affiliating myself with another lineup or do anything else after Weapon but if I was ever to do anything ever it was going to be something like Nafarmaan.After a few line up changes the band now is a four man line up fronted by Imam Iblis (Ex-Bloodlust) on Vocals, AgneeAzaab on guitars, Marhoum on Bass and me on drums /session guitars. Needless to say the current lineup sounds deadlier than ever. Asmodeus: The debut EP of Nafarmaan; ‘Quayamat Lullaby’, which is going to released both locally and internationally pretty soon; how is it going to be? Nohttzver: Yes, The EP is to be released in more than one format from more than one continent, if everything goes well with the release schedules of the labels, the EP will be out within December 2013 or January 2014. There might be a possibility of a re-release or a local release as well but for now we are focusing on the releases at hand. As far as how it’s going to be, well you gotta find out for yourselves once it’s out but just trust me when I say that you won’t be disappointed. Asmodeus: When playing with Nafarmaan, is there any unique, particular technique that you use which didn’t appear in your early projects; say, Weapon, or is it all just the Nohttzver style? Nohttzver: Nohttzver style? Really?I didn’t even know I had one (Laughs). I don’t know about all that but what I can honestly tell you is, I believe that I have had restricted myself when I played in Weapon. I truly believe that I could’ve done more justice to the songs. The songs were all great undoubtedly and the way Vetis Monarch had executed each deserves nothing but total respect. In Nafarmaan on the other hand, I am getting to do as much as I can and however the way I want drums wise. This has been so because I write the riffs or the drum lines beforehand and in accord to the way they’re meant to be played or however the songwriting demands, thus making it easier to give it my most. Asmodeus: Right now is it the only project you are playing? Nohttzver: Yes that is correct. Asmodeus: Will we be seeing you in any other projects? Say, how is about some solo Nohttzver releases? Nohttzver: (Laughs) are you kidding me? Solo Nohttzver?? Two words cannot be in the same sentence. But just so you know, something totally different may be conjured up in the future by me along with some of the other comrades I am connected to. Asmodeus: What are you thinking about the current underground scenario in Bangladesh? Nohttzver: I can say that it’s finally seeing the light of day. Bangladeshhas been successfully producing some great Underground bands and musicians over the years. Each consistent at producing their authentic sound, representation and who have been conquering International grounds for quite some time now. I believe in recent years they have made a very positive impact both internationally and locally. There has been much growth and interest in Extreme Metal amongst the new generation and I am finally seeing them actually liking and enjoying it. A couple of respectable banners have also immerged and are setting praise-worthy standards in the global extreme metal underground scene. Yeah it’s gradually going places. Asmodeus: So one final question. Suppose a young blood came to you who wants to enter into the realm of chaos; the Black Metal; what would be Nohttzver’s message for him? Nohttzver: If you can’t feel it from within or can’t relate to it don’t do it. Asmodeus: Thanks brother. It was an honor to have this conversation with you. Ave! Nohttzver: As it was mine. Best wishes to VD. Ave! Some ‘to the point’ questions and ‘to the point’ KILLER answer!